Home environment Top UK Politician Caught In MASSIVE Climate Change Corruption SCANDAL! Whenever you’re looking for the truth about something strange happening, the advice to “follow the money” is generally good. And it’s certainly the best way to explain the global elite’s ludicrous but ruinously expensive (for the rest of us) man-made global warming hoax! Here’s just the latest example: Tory peer John Selwyn Gummer’s private company has been paid more than £600,000 from ‘green’ businesses that are raking in millions from his advice to Ministers. Meeting the UK’s climate change commitments costs the British taxpayer a staggering £18 BILLION every year. The Conservative grandee heads the Government’s powerful Climate Change Committee that vigorously supports pumping billions of pounds in public subsidies into firms profiting from the scam. Explosive documents leaked to the Mail reveal that Sancroft International has been paid by at least nine businesses and campaign groups involved in projects to cut greenhouse gases. 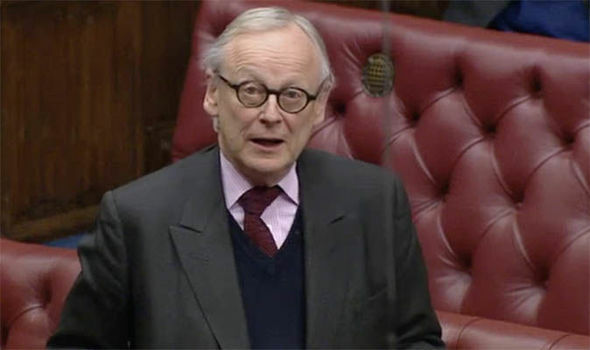 Last night Gummer, who was a Tory MP for 40 years before becoming Lord Deben in 2010, was facing calls to resign over what appear to be ‘colossal’ and ‘scandalous’ conflicts of interest. As the £1,000-a-day chairman of the Committee on Climate Change (CCC), Gummer is subject to a strict Cabinet Office code of conduct, which clearly states that officials should declare publicly ‘any private interests which may, or may be perceived to, conflict with your public duties’. Of course, ultra-Europhile Gummer is not alone in being caught up in a web of profitable conflicting interests. The key architect of the entire global warming hoax is former US Vice-President Al Gore. Gore partnered up with a British man named David Blood in 2004 to create a climate change investment company called Generation Investment Management (GIM). Mr. Blood was the former Chief Executive of Goldman Sachs Asset Management. GIM is also owned by a collection of other Goldman Sachs cronies. Goldman Sachs has been a major government-controlling puppet master for decades. The London-based GIM invests money from institutions and wealthy investors in companies that are going green. In 2006, GIM bought 10 percent of Chicago Climate Exchange shares for $23 million. CCX owns half of the European Carbon Exchange so there are plenty of profits to be made by Gore and his gaggle of Goldman Sachs cronies. 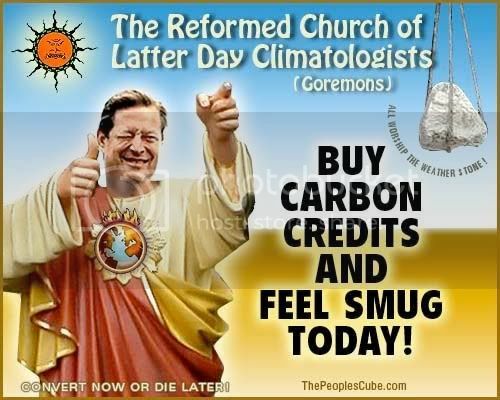 To give an example of the shocking impact of Gore’s carbon scam, even essential public services such as hospitals have to pay huge annual levies for the carbon emissions created by their heating systems. This is a massive hidden tax on the health service – a great way to transfer even more money from ordinary citizens to the globalist elite. Or take another prominent ‘climate change’ fanatic – Prince Charles. John Gummer’s conflict of interest is small change compared with that of the heir to the throne. The Royal Family will pocket tens of millions of pounds from the massive expansion of offshore windfarms. They will net up to £37.5 million extra income every year from the drive for green energy because the seabed within Britain’s territorial waters is owned by the Crown Estate. 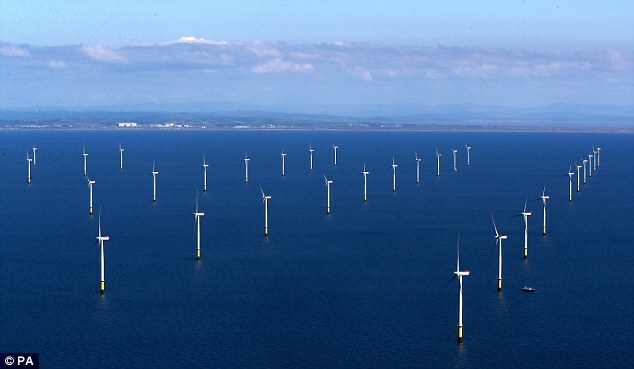 Experts predict the growth in offshore windfarms could be worth up to £250 million a year to the Crown Estate. There are already 436 turbines in operation around the UK’s 7,700-mile coastline – but within a decade that number is set to reach nearly 7,000. The Crown Estate said profits from windfarms in Britain’s territorial waters – which extend almost 14 miles from the coast – could rise to £100 million a year, giving the ­Royals £15 million. But industry experts say this is an under-­estimate and that the true figure is likely to be nearer £250 million by 2020, with £37.5 million for the Royals. Nice work if you can get it. But, if you can’t, just keep paying your taxes!